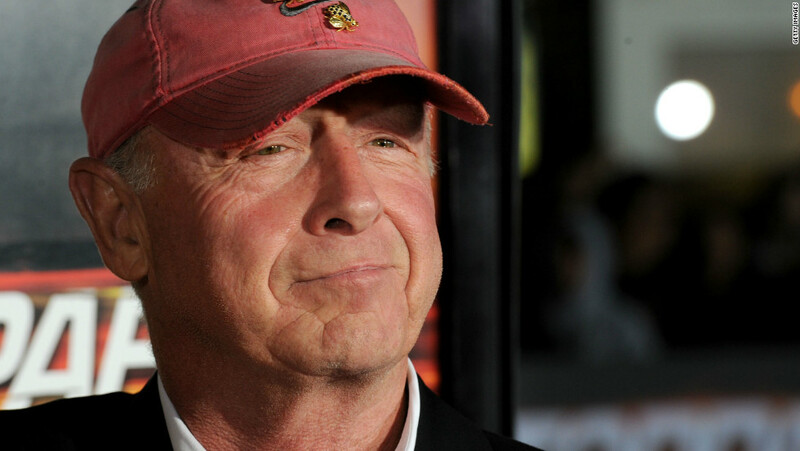 The talented director Tony Scott killed himself via jumping off a bridge in 2012. It was later revealed by his family (such as older brother who also makes films, Ridley Scott) that he had been battling a cancer diagnosis that one must assume had become terminal. I was sad when Tony Scott passed and still miss him, because he made some damn good films. I mean, besides his classics like, "Top Gun," or, "True Romance," two of my favorite films by him were actually ones that got middling reviews or were outright hated by critics. Those are the moderate success, "Man on Fire," and the absolute flop-that-I-think-is-a-masterpiece, "Domino." Tony Scott's filming-style was often one of quick-cuts, unique film-filters, and interesting little bits of music, imagery, and the like. When you were watching a movie by Tony Scott you knew you were watching a movie, because things would always happen that didn't so much pull you out of the experience as supplement it. When Denzel Washington tells someone in, "Man on Fire," they only have a certain amount of time before an explosion goes off that will kill them, we see the timer pop-up on the screen at certain moments, almost a briefly-lived character itself, jumping and dancing around the screen in a 4th-wall-breaking-style. 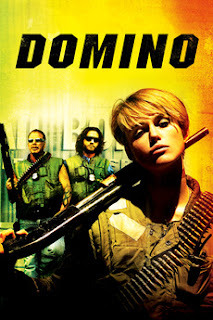 The way, "Domino," seems to enjoy going off on tangents about different characters, show us scenes that it later turns out never happened, and otherwise make the flick itself as an unreliable narrator as main character Domino Harvey herself is astounding and disorienting--but in all the right ways. The only other director who I feel comes close to Scott might be Michael Mann, with his, "Collateral," or the film-version of, "Miami Vice," he did somewhat lining-up with the genius of Scott if not completely matching it. I'm also of course glad Mann is still alive too, but he's no Tony Scott. Tony Scott was a master of set-pieces. He'd have little extreme moments occur all leading-up to astounding and over-the-top mayhem that almost could feel like too much, but those small bits of pushing-the-envelope would help you be prepared for something as insane as the non-stop gunfire and explosions in a Vegas Hotel that serve as the wild climax of, "Domino." "Man on Fire," is not quite as prone to random tangents or weirdness as, "Domino," which is probably why I enjoy it a great deal and love it, but absolutely adore, "Dominio," a bit more. "Domino," is sloppy, confusing, and just as soon as it scratches the surface of one idea (Domino and her team of bounty hunters agree to do a reality show with a producer played by Christopher Walken) it moves on to the next crazy bit. There is an exuberance in so many of Scott's films, be they old classics like, "Top Gun," or the modern masterpiece, "Domino," that I feel many of today's filmmakers lack. For example, Christopher Nolan makes some of the best movies around, but when I watch, "Inception," I don't get much of a vibe that he's having fun, whereas with Scott's works I can practically hear him in my ear going, "Hey, isn't this cool?" Tony Scott's life sadly ended in 2012, but he left behind some damn good movies (and T.V.) work for us to remember him by. I still miss him though.